Although the severity of dog bites tends to be underestimated by those who have never experienced an attack, the attorneys of Angotti & Straface Attorneys at Law L.C. understand the significant damages and risk of death posed by dog bites, as well as the long term side effects. Victims who have been bitten by a dog that is owned by a family member, friend, or neighbor may face pressure to avoid taking legal action. However, you should not have to bear the burden of a lifetime of financial and emotional damage for an act that was not your fault. We are committed to assisting victims of dog bites and animal attacks recover the maximum possible compensation for medical expenses, as well as future losses and damages including those from infections, PTSD, lacerations and scars, emotional trauma, fractures, disfigurement, and other serious injuries. If your loved one has died as a result of the attack, we offer compassionate legal representation to file a wrongful death lawsuit on behalf of the deceased’s estate. 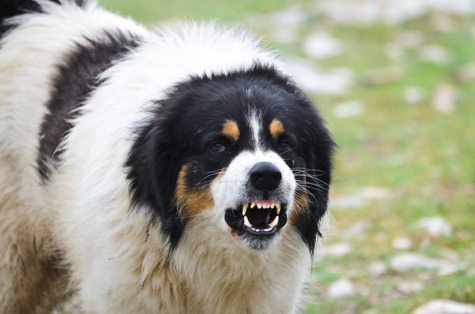 In the state of West Virginia, the owner of any dog that has bitten an individual or caused property damage while the dog was allowed to run loose is strictly liable for the attack, and negligence does not have to be proven. If the dog was contained during the attack, the “one bite rule” applies in most cases. Essentially, the owner cannot be presumed to have known that the dog had a propensity for violent behavior until it has bitten an animal or person. In this type of case, the burden of proving negligence is placed on the victim. Our animal attack legal team will assist you with obtaining just compensation for all of your losses as a result of the dog bite. Injured or Bitten by a Pit Bull, Doberman, Rottweiler, or Husky? Extreme caution should be exercised around these dogs at all times. No infant or child should ever be left alone with any dog. Ever. If you or a loved one have suffered a serious injury as a result of a dog bite or an attack by a domestic animal in Charleston, Huntington, Parkersburg, Morgantown, Wheeling, or elsewhere in West Virginia, contact Angotti & Straface Attorneys at Law for a free initial consultation at: (304) 292-4381.